On the 12th (Fri), take in the dramatic natural features at Gantheaume Point and then get up close to creatures of the deep with a dolphin and whale watching tour. Here are some ideas for day two: get engrossed in the history at Broome Historical Museum, then enjoy the sand and surf at Cable Beach, and then look for gifts at Cygnet Bay Pearls Showroom. 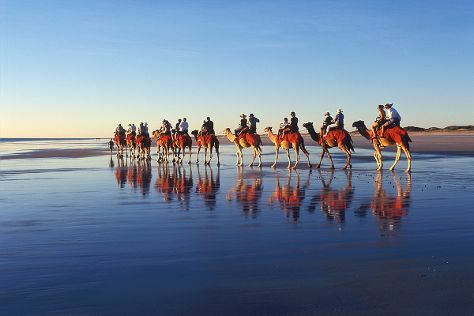 For maps and tourist information, you can read our Broome trip itinerary website . Singapore, Singapore to Broome is an approximately 13-hour flight. Traveling from Singapore in July, expect much colder with lows of 17°C in Broome. Wrap up your sightseeing on the 13th (Sat) early enough to travel to Fremantle. Start off your visit on the 14th (Sun): kick back and relax at Cottesloe Beach, contemplate the long history of Fremantle Prison, and then hunt for treasures at Fremantle Markets. To find reviews, photos, more things to do, and tourist information, refer to the Fremantle tour itinerary tool . Traveling by flight from Broome to Fremantle takes 4.5 hours. Alternatively, you can drive; or take a bus. When traveling from Broome in July, plan for colder days in Fremantle, with highs around 21°C, while nights are a bit cooler with lows around 7°C. Finish up your sightseeing early on the 14th (Sun) so you can go by car to Margaret River. 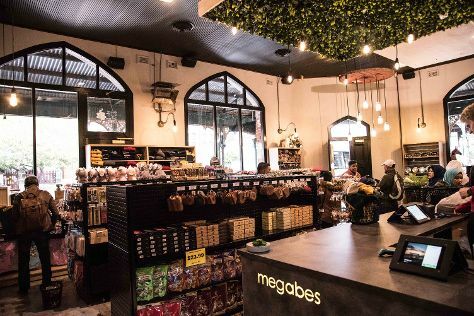 On the 15th (Mon), look for gifts at Margaret River Chocolate Company and then indulge your senses at some of the top wineries in the area. Get ready for a full day of sightseeing on the 16th (Tue): shop like a local with JahRoc Galleries and then let your taste buds guide you at a local gastronomic tour. To find where to stay, other places to visit, photos, and more tourist information, read our Margaret River online trip maker . Getting from Fremantle to Margaret River by car takes about 3 hours. Other options: take a bus; or do a combination of train and bus. Finish your sightseeing early on the 16th (Tue) so you can travel to Exmouth. Exmouth is a town on the tip of the North West Cape in Western Australia. Start off your visit on the 17th (Wed): relax and rejuvenate at some of the best spas and then get a new perspective on things with Boat Tours & Water Sports. Get ready for a full day of sightseeing on the 18th (Thu): visit a coastal fixture at Vlamingh Head Lighthouse and then kick back and relax at Turquoise Bay. Plan a trip to Exmouth easily and quickly by telling Inspirock to suggest an itinerary. Traveling by combination of bus and flight from Margaret River to Exmouth takes 10 hours. Alternatively, you can do a combination of bus, flight, and car; or drive. In July in Exmouth, expect temperatures between 28°C during the day and 13°C at night. Cap off your sightseeing on the 18th (Thu) early enough to travel back home.